Well that was a treat recently, seeing Downton Abbey’s "Mrs. Patmore" (actress Lesley Nicol) turn up in an episode of George Gently. An even bigger treat is that a young Mrs. Patmore might be appearing in a prequel of Downton penned by the series creator Julian Fellowes! According to an article in The Sun newspaper, Fellowes is thinking of making a prequel that would have a brand new cast starring as the familiar characters we know, but thirty years younger. Mrs. Patmore, for instance, would arrive at Downton as a kitchen maid. Fellowes is also reportedly still hoping to reunite the old cast members in a big screen version of Downton Abbey. In fact, according to Jim Carter, who played Mr. Carson, the cast have “been asked to keep ourselves available for dates in the future. But nobody has seen a script." One actor, of course, who won’t be appearing in any future Downton Abbey blockbusters is Dan Stevens, who played Matthew Crowley and whose character was killed off after the actor decided to leave the series. 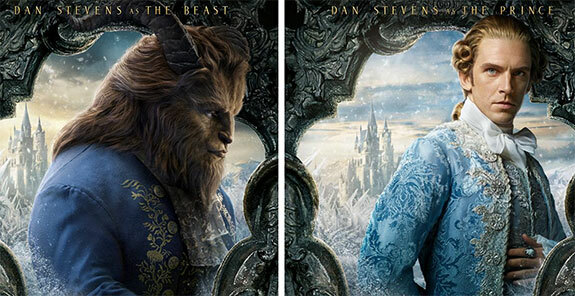 Stevens will though have his own blockbuster film coming out soon; Beauty & The Beast. Emma Watson (Hermione in the Harry Potter films) stars as Belle and Stevens plays – of all things! – the Beast! He’s also the Prince, replete with long blonde locks. 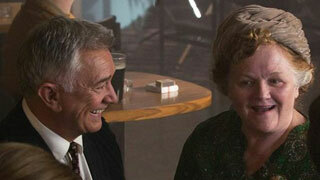 The film, which also stars Emma Thompson as Mrs. Potts and Sir Ian McKellen as Cogsworth, opens March 17th. Stevens has three more films scheduled for release this year. The first is The Ticket, which comes out in April and features Stevens as a blind man who regains his eyesight. Then in October, you can see Stevens in Marshall, about the first African-American Supreme Court Justice Thurgood Marshall. Stevens will wrap up 2017 with the release of The Man Who Invented Christmas. In it, Stevens plays Charles Dickens, and the play also stars Christopher Plummer as Ebenezer Scrooge and Jonathan Pryce as Dickens' father.